Helmand province has been the scene of a heavy onslaught by Taliban forces over the past several months. Most of the districts in the province are held by the insurgents. The provincial capital, Laskar Gah, has been surrounded by the Taliban and government troops have been on the defensive for most of the Summer Campaign 2016. 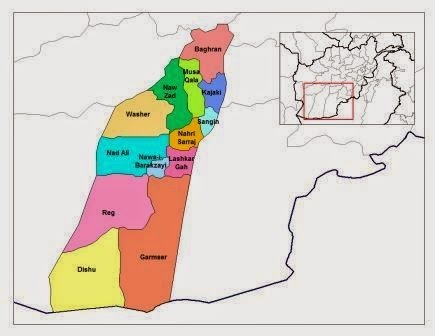 However, one high-ranking government security official believes that the government forces will soon go back on the offensive and push the Taliban out from the recently gained territory. Read more in "Afghan Security Chief Vows To Reclaim Territory From the Taliban", Gandhara Blog (Radio Free Europe), November 1, 2016.